In this issue of the BioVoice magazine, the ‘Cover Story’ focuses on the various policy initiatives taken within bioscience industry in the previous year besides expectations from 2018. In the BioChat part 1, Mr Yogesh Mudras, Managing Director of UBM India shared his thoughts on the present scenario and future of pharma sector. The part 2 of the BioChat features Mr Naz Haji, Managing Director, IQVIA India, who thrrows light on the logic behind renaming, fresh priorities of the company and its focus on human data science. 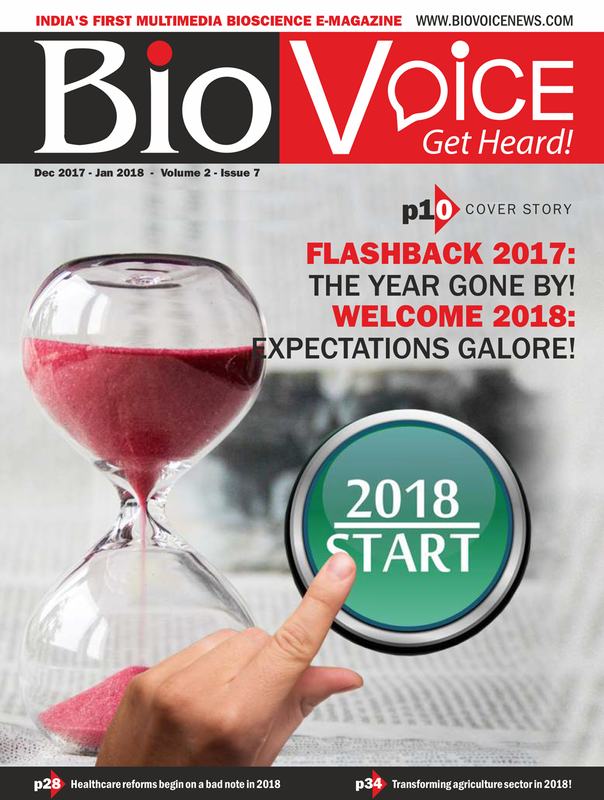 The ‘BioAnalysis’ has focus on the healthcare reforms that begin on a bad note in 2018 in the midst of strong opposition to newly drafted National Medical Commission (NMC) Bill, 2017. In the ‘Tech Providers’ section, Mr Devashish Ohri, Executive Vice President, Asia/Middle East, Africa (MEA), Avantor talks about the company’s operations and future plans. The ‘Expert Corner’ article has focus on the transforming agriculture sector in 2018.